Modified citrus pectin, or MCP, would appear to have anti-cancer, anti-metastases, strong immune boosting and heavy metal detoxification abilities. It has also been shown to help chemotherapy drugs work better. It also blocks an important inflammatory compound. "It’s one of my favourite anti-cancer supplements", writes Chris Woollams. Pectin is a soluble fibre, which cannot be absorbed into the body. A polysaccharide, the body cannot break it down into its constituent molecules. Typically, it is found in the cell wall of plants, vegetables and fruits - like apples, carrots and in the peel of citrus fruit and plums. 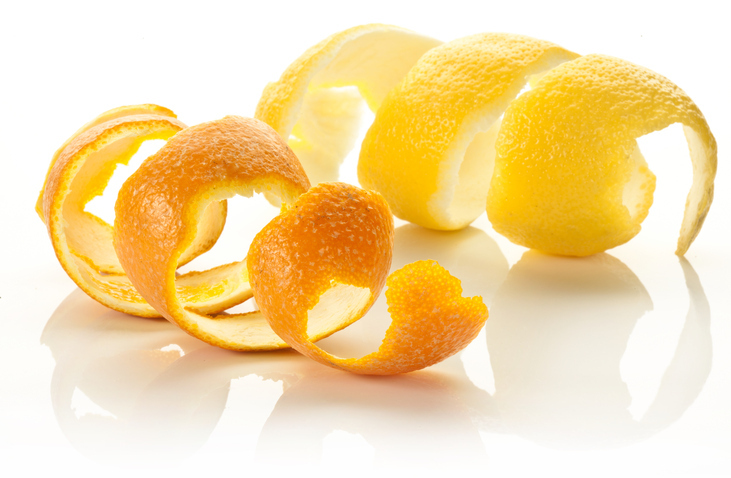 Modified Citrus Pectin has had the long pectin molecules broken into smaller pieces, each of which remains a polysaccharide. Polysaccharides are known to be important in cellular communication and in boosting the immune system. The American Cancer Society states that ’Several animal studies found that MCP helped reduce the spread of prostate, breast, and skin cancer. Animals with these types of cancer that were fed MCP had a much lower risk of the tumor spreading to the lungs’. MCP can enhance the anti-cancer action of natural compounds. In a 2012 study(1) a compound including MCP, extracts from medicinal mushrooms, herbs such as astragalus, curcumin and Scutellaria plus I3C/DIM and quercitin, was shown to cut the progression of Triple negative breast cancer to the lungs by two thirds. Another study suggested that MCP made it difficult for metastatic cancer cells to join together and grow in other parts of the body. In a small human study with prostate cancer, those taking MCP showed slower growth of PSA levels(2). All of these were animal studies. Galectin-3 is a carbohydrate-binding protein made in the body and a key cancer marker. It is known to be involved in cancer parthenogenesis. It is also a therapeutic target for drugs and has been extensively researched for its role in promoting cancer and chronic disease. Galectin-3 fuels chronic inflammation and its progression in the body. It also aids tumour growth, metastasis and angiogenesis (new blood vessels that supply the tumour). Importantly, there’s a direct relationship between elevated galectin-3 levels and poor outcomes for cancer patients. Galectin-3 is known, for example, to be involved in prostate cancer spread. A brand of modified citrus pectin, called PectaSol-C, was shown in preliminary clinical trials to block prostate cancer spread by inhibiting Galectin-3(8). Published research shows that modified citrus pectin is a galectin-3 blocker: It has been proven to bind to galectin-3, block cancer cell aggregation, prevent angiogenesis and reduce metastasis. A 2015 study by Tel Aviv Medical Centre Scientists showed that oral MCP supplementation could enhance the anti-metastatic and anti-cancer effects of radiotherapy in the treatment of Androgen-Independent prostate cancer(9). In a 2011 study, MCP was shown to be a potent immune system booster. It had a powerful effect boosting B-lymphocytes, and also the cytoxic effects of T-lymphocytes and Natural Killer (NK) cells against cancer. MCP actually produced a dramatic 10-fold increase in NK cell activity(7). Other research studies show how MCP eliminates heavy metals, like mercury and lead, from the body. There are five studies of MCP in humans (where it is used alone or with green algae) showing its ability to greatly reduce the level of heavy metals in the body. For example, one study(6) showed it encouraged the excretion of heavy metals like chromium, lead and arsenic from the body. MCP is an important component of Complementary and Integrative Medicine (CIM). It has been shown to enhance chemotherapy (even against resistant cancers) while protecting healthy cells from damage by radiotherapy. A number of scientific studies show that MCP can work synergistically with certain chemotherapy agents such as doxorubicin and paclitaxel. * MCP can enhance doxorubicin activity against aggressive prostate cancer cells. * MCP can enhanced the effects of paclitaxel against aggressive ovarian cancer cells. Both were shown to act by blocking galectin-3. American Complementary and Integrative Medicine experts recommend different levels of consumption - one suggests 5 grams, 3 times a day on an empty stomach for use with cancer patients and after cancer surgery and biopsies; another suggests just 6 grams a day. There is no research on this with humans. Other options for reducing cancer spread? MCP is not alone in the botanical field at inhibiting cancer spread. You might also look at honokiol, which has been extensively studied in preclinical cell and animal models and shown to fight cancer through numerous mechanisms of action. Honokiol is derived from Magnolia officinalis bark, and is highly regarded for its anti-tumour, anti-angiogenic and antioxidant effects. It has also been shown in preclinical studies to enhance the benefits of some chemotherapies and natural agents’. There are also repurposed drugs - such as antihistamines Cimetidine and Loratadine - and NSAIDs - such as aspirin and indomethacin. Oncol Rep. 2012 Oct;28(4):1139-45. doi: 10.3892/or.2012.1936. Epub 2012 Jul 26. Jiang J1, Thyagarajan-Sahu A, Loganathan J, Eliaz I, Terry C, Sandusky GE, Sliva D.
Ref 2: Prostate Cancer Prostatic Dis. 2003;6(4):301-4. Ref 7: BMC Complem. Altern. Med.2011, 11:59. Ramachandran, C., Wilk, B.J., Hotchkiss, A., Chau, H., Eliaz, I., Melnick, S.J.